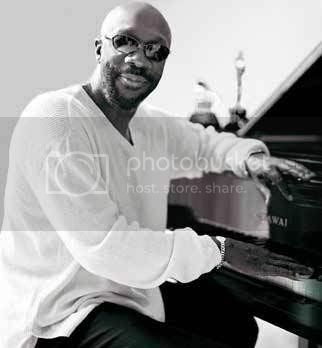 Isaac Hayes played piano and organ in several clubs in the Memphis area. He was born on the 20th of August 1942, in Covington, Tennessee. Isaac's parents died during his childhood, so he was raised by his grandparents. He began singing in church at the age of five and taught himself the piano, organ and saxophone. He was a member of several groups, including, Sir Isaac And The Doo-dads, the Teen Tones and Sir Calvin And His Swinging Cats. In 1962, he began his recording career, recording sides for a variety of local labels. In 1964, Isaac signed to the Stax Records imprint. Isaac worked with the Mar-Keys saxophonist Floyd Newman and stood in, from time to time, for Booker T. Jones. After playing on several sessions for Otis Redding, Isaac then teamed up with David Porter and the pair achieved success with Sam And Dave's 'Hold On I'm Comin', 'Soul Man' and 'When Something Is Wrong With My Baby'. They penned Carla Thomas's song, 'B-A-B-Y', and Johnnie Taylor's tunes 'I Had A Dream' and 'I Gotta Love Somebody's Baby'. Isaac and David formed the group the Soul Children as a vehicle for their songwriting. In 1967 Isaac relaunched his recording career with the album 'Presenting Isaac Hayes', in 1967. 'Hot Buttered Soul' followed on two years later. 'The Isaac Hayes Movement' and 'To Be Continued' followed in 1970, with 'Black Moses' arriving in 1972. 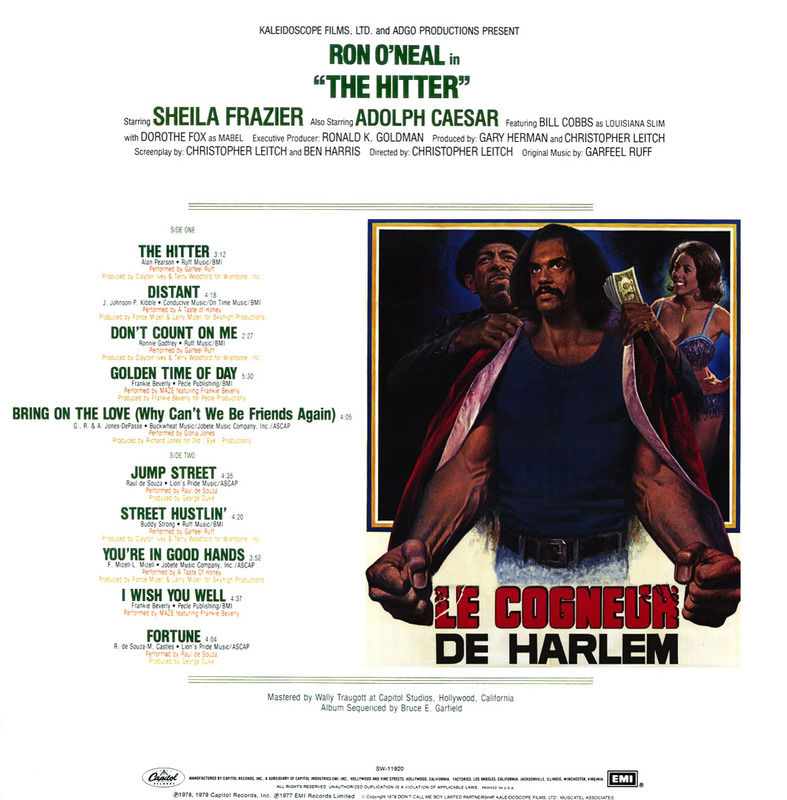 The blaxploitation movie 'Shaft' was also released that year, the title track of which became a huge hit on both the Pop and R & B charts that year, reaching the number one spot. The song was later covered by Eddy And The Soul Band in 1985, and reached number 13 in the U.K. charts. There were other movie soundtracks that followed in the form of 'Tough Guys', in 1973, and 'Truck Turner' in 1974. 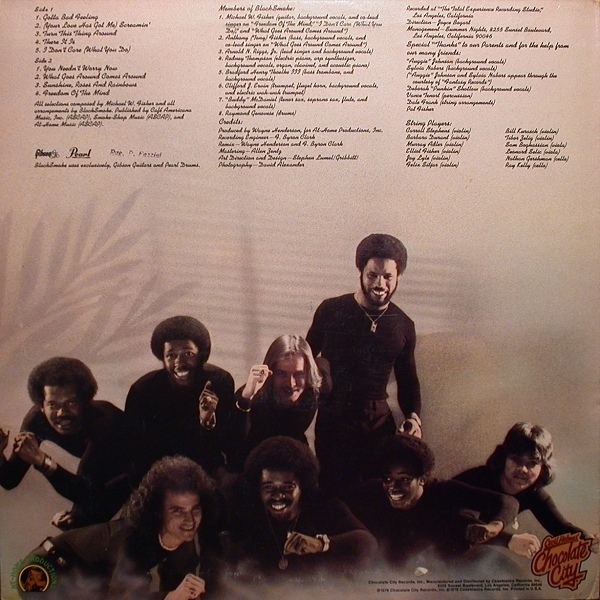 Isaac left Stax in 1975, following disputes over royalties, and set up his own Hot Buttered Soul label. After problems with the taxman, Isaac was declared bankrupt the following year. He then relocated to the Polydor and Spring imprints. In 1977, the double-LP 'A Man and a Woman', recorded with Dionne Warwick, indicated a resurgence in his recording career. In 1979 a collection of duets with Millie Jackson, titled 'Royal Rappin's', was released. Isaac, also, produced the album 'Here's My Love' for the artist Linda Clifford the same year. Isaac then released a couple of solo albums, 1980's 'And Once Again' and 1981's 'Lifetime Thing'. The same year, Isaac made an appearance in the John Carpenter movie 'Escape From New York', with him playing the role of 'The Duke Of New York'. Musically, Isaac also retired for five years before re-emerging with 'Ike's Rap', a Top 10 U.S. R & B single taken from the album 'U Turn'. Two years later he returned again with 'Love Attack', before again dropping out of music to focus on acting. By 1995, Isaac had converted to Scientology. He then released two CD's in the form of 'Branded' and the instrumental 'Raw and Refined'. Under the official name Nene Katey Ocansey I, he also served as a member of the royal family of the African nation of Ghana. 1997 saw Isaac providing the voice of Jerome 'Chef' McElroy, on the animated series South Park. In the year 2000, 29 years after the release of the movie 'Shaft', Isaac began work on a new version of the original, for a follow up similarly entitled 'Shaft'. 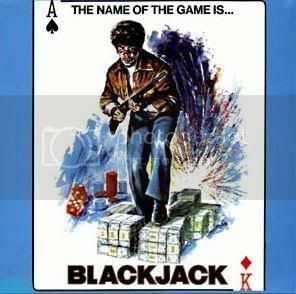 This was based around the detective, with Samuel L. Jackson taking over the role originally made famous by Richard Rountree. In 2001, he supported Alicia Keys as a musician and arranger on her acclaimed debut album 'Songs in A Minor', utilising real instrumentation. The song 'Rock Wit U' was utilised on the 2001 movie soundtrack. Many of his original Enterprise albums have been reissued in CD format by U.K. Ace under their reactivated Stax logo. b. 3rd June 1942, Chicago, Illinois, U.S.A.
d. 26th December 1999, North Fulton Regional Hospital, Roswell, Georgia, U.S.A.
Curtis Mayfield has played a major pivotal role in soul music over the last 40 years and has influenced countless musicians (and politicians). Between 1961 and 1971, he wrote a succession of influential singles for his group, including 'Gypsy Woman' (1961), 'It's All Right, (1963), 'People Get Ready' (1965), 'We're A Winner' (1968) and 'Choice Of Colours' (1969). Curtis wrote tender love songs and those protesting social and political equality. Decades later Bob Marley lifted lines from 'People Get Ready' to populate his own recording, 'One Love'. 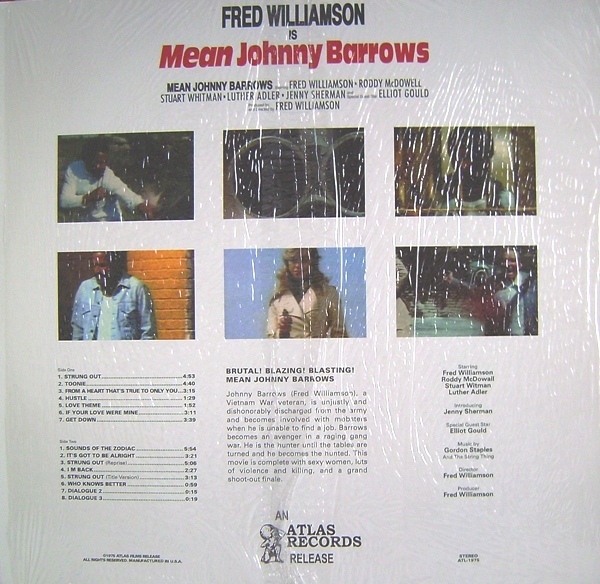 Two independent record companies, Windy C and Curtom, emphasized Mayfield's important role within black music, while his continued support for other artists as composer, producer or session guitarist, enhanced a reputation beyond that of just a singer. Jerry Butler, Major Lance, Gene Chandler and Walter Jackson are among the many Chicago-based singers benefiting from Mayfield's songwriting skills. 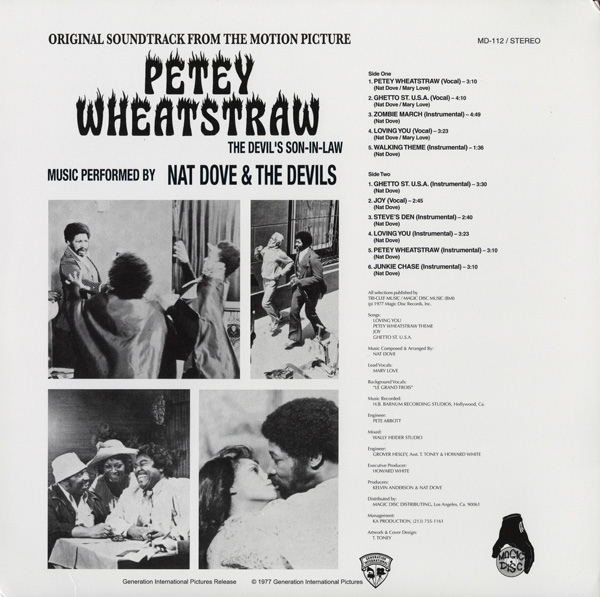 Having parted company with The Impressions in 1970, Curtis began his solo career with '(Don't Worry) If There's A Hell Below We're All Going To Go', a suitably astringent protest song. The following year Mayfield penned his biggest UK success when 'Move On Up', reached number 12, an energetic dancer that charted in the USA and U.K. alike. There, the awards continued as success was maintained with 'Freddie's Dead' (US R & B number 2 / number 4 pop hit) and the theme from 'Superfly' (1972), a 'blaxploitation' film that he also, wrote. Both singles and the album achieved gold status, inspiring further excursions into the movies. 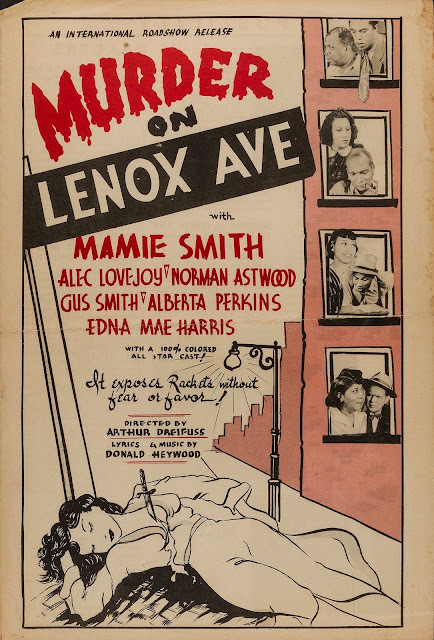 The soundtracks including 'Claudine', 'A Piece Of The Action', 'Sparkle' and 'Short Eyes', the last of which featured Mayfield in an acting role. The singer continued to prove popular and subsequent work, including his production of Aretha Franklin's 1978 album, 'Almighty Fire' is held in high regard. In 1981, he joined the Boardwalk label, for which he recorded 'Honesty', his strongest album since the days of the early 70's. The death of the label's managing director left an enormous gap, and Mayfield's career was then blighted by music industry lethargy. The singer remained a highly popular live attraction, particularly in Britain where '(Celebrate) The Day After You', a collaboration with the Blow Monkeys, became a minor hit. In 1990, a freak accident, in which part of a public address rig collapsed on top of him during a concert, left Mayfield permanently paralyzed from the neck down. The effects, both personal and professional, proved costly, but not completely devastating in terms of his musical career. The material from 'BBC Radio 1 Live In Concert' was gathered from the gig at London's Town And Country Club during Mayfield's 1990 European tour. In 1993, Warner Brothers released 'A Tribute To Curtis Mayfield' featuring various artists including Lenny Kravitz, Whitney Houston, Aretha Franklin, Bruce Springsteen, Rod Stewart, Elton John and Steve Winwood, which was an excellent tribute to the Mayfield songbook. Aretha's version of 'The Makings Of You' was excellent. A year later Charly Records reissued the majority of Mayfields 70's albums on CD as well as several compilations. In 1996,Rhino Records gathered the best package in a three-CD box set. At the end of 1996, a new album, 'New World Order' , was released to excellent reviews. During the recording of 'New World Order', Mayfield had to lie on his front, supended by a harness, in order to give some gravitational power to his voice. His contribution to soul music has been immense, whatever the limitations of his disability, his voice, however, remained perfect, sensitive and unique. 'Pusherman' is utilised as part of the American curriculum in the fight against drugs. Well since Serge Gainsbourg's Madam Claude is my most downloaded out of all of the other soundtracks. I decided to post this 1982 release by Fancis Lai. I can't remember where I found this at, but I'm sure that you all will dig this just like the others. Enjoy! 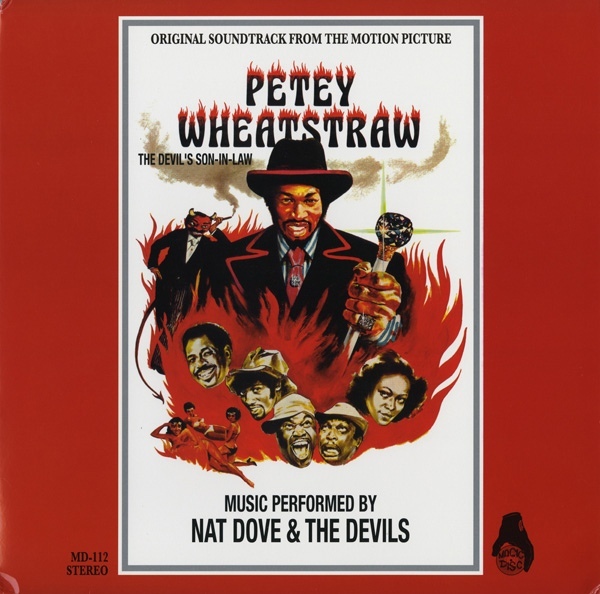 Of Rudy Ray Moore's album output, this soundtrack is one of the easier LPs to obtain. It's a good album, mixing funk and jazz in equal measures, but the jazz is second-rate and the funk is not consistent. There are few tracks and most are pressed in two versions, vocal and instrumental. The best track is the outstanding funk instrumental 'Zombie March', featuring a great horn riff over a fat breakbeat. 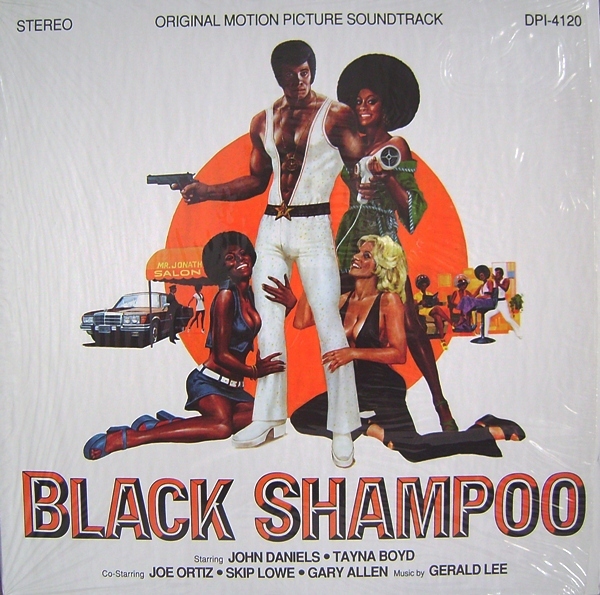 Funky music, dialogue and sound effects from the 1976 blaxploitation movie Black Shampoo. This is great for DJ/producers - with plenty of funky 70s music and clean dialogue to scratch or sample. This album contains some obscure blaxploitation cuts from the Fred Williamson movie 'Adios Amigo'. 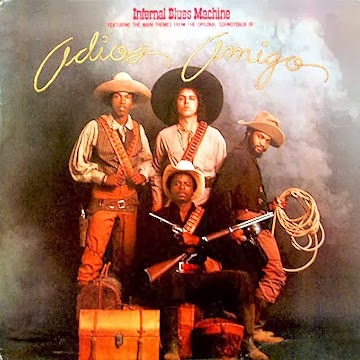 The movie theme is pretty tight - good strong groove, slightly cod Mexican feel to it, but it moves well. The other two tracks from the movie are forgettable love themes. The first side of this LP comprises the funk tracks - there's a strong hard funk cut in Ju Ju - while the flip tracks are the dull soulful numbers. Worth a dig. In our continuing mission to track down all sorts of obscure funk music as featured in the movies of the 1970s, we finally tracked down the music that's featured in B-movie blaxploitation classic 'Candy Tangerine Man'. 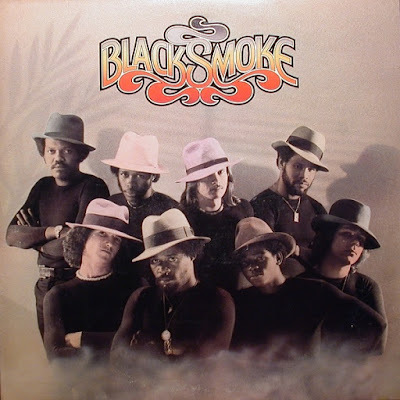 It's from quite an easy-to-find funk LP, the self-title release by Smoke. The music is quality mid-70s dancefloor funk, pretty tight all through. Mostly vocal, it's not a standard soundtrack record and makes no mention of the movie on the sleeve, but check out the film then look at the hats of the guys on the LP sleeve... anyway, 3 tracks from this LP were used in the movie. Good stuff. 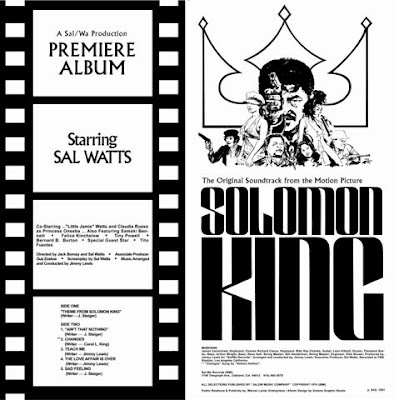 One of the most obscure blaxploitation soundtrack albums, Solomon King was the product of Sal Watts, who wrote, directed and starred in the movie. 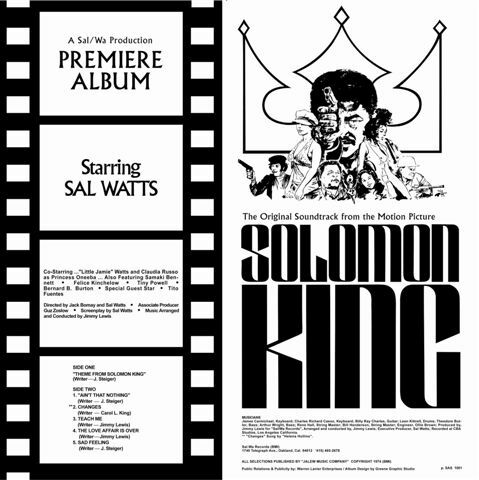 The album was produced for the film's premiere and was released on Sal's own record label. 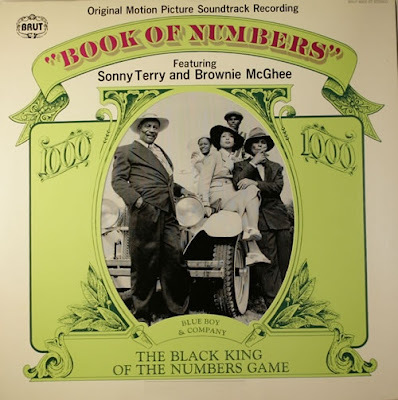 The entire first side is taken up by the 15-minute Solomon King Theme, a great funk track featuring good phased wah guitar, bizarre synth drums, a Shaft-style riff and some groovy breaks. The second side of the album contains several very dodgy soul cuts; stick to the first side. Uploaded by filmpac @ Franklynot. 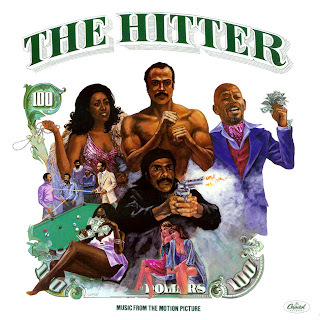 Solid disco-funk and soul soundtrack from Jack Ashford for the obscure blaxploitation movie from 1978 directed by John Evans and starring William Smith, Tony Burton and Frank Christi. Jack Ashford was part of a group of musicians known as the Funk Brothers whose sound defined Motown in the 60's and 70's. They worked with such legendary performers as Diana Ross and the Supremes, the Temptations, Marvin Gaye, The Four Tops, Stevie Wonder, Smokey Robinson, The Miracles and many more. 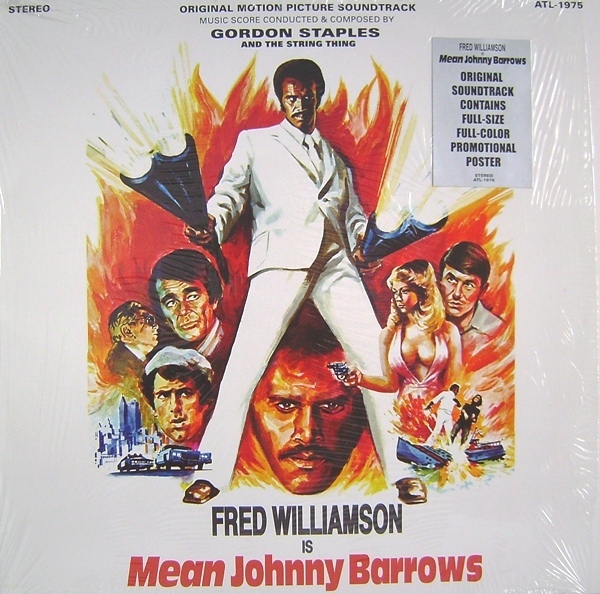 Fred Williamson certainly managed to pick some superb music for his films. Here, parts of an old Motown album (Strung Out by Gordon Staples) are reused to great effect in Mean Johnny Barrows, a Williamson classic. The main theme is the 'Strung Out' track on this 45, while the flip side is used as incidental music in several places in the film. The original Strung Out LP also includes another track from the movie (a ballad), but it's not the same mix that appears in the film, so we've highlighted the 45 instead. The music is excellent: a head-nodding midtempo funky groover with nice atmospheric choppy wah, tight drums and a killer funky strings line - quite a rarity, too. Ron 'Superfly' O'Neal starred in this late obscure, depressing blaxploitation film from 1979 about a failed bare knuckle fighter and hustler. The music has a very well-produced, clean sound and features tracks from Raul Da Souza alongside the original film music from Garfeel Ruff. The originals are good late 70's funk, generally slow tempo with deep bass and a strong horn section. This album can be found fairly easily, invariably still sealed and quite cheap, so obtain a copy if you can. 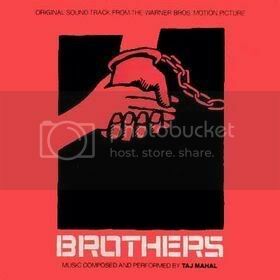 Taj produced, wrote and arranged this soundtrack from the late 70's film. It has a strong Caribbean feel to the percussion and Taj's voice is strong and fluid as ever. The synopsis from the cover is as follows: "He was nobody, a black man in a white man's prison. She was somebody; a notorious, beautiful radical, black professor. Their love story caused a national convulsion. This film is that story. And it happened." I've never seen the flick myself, but I love the record. Nice simple cover graphics are well chosen. 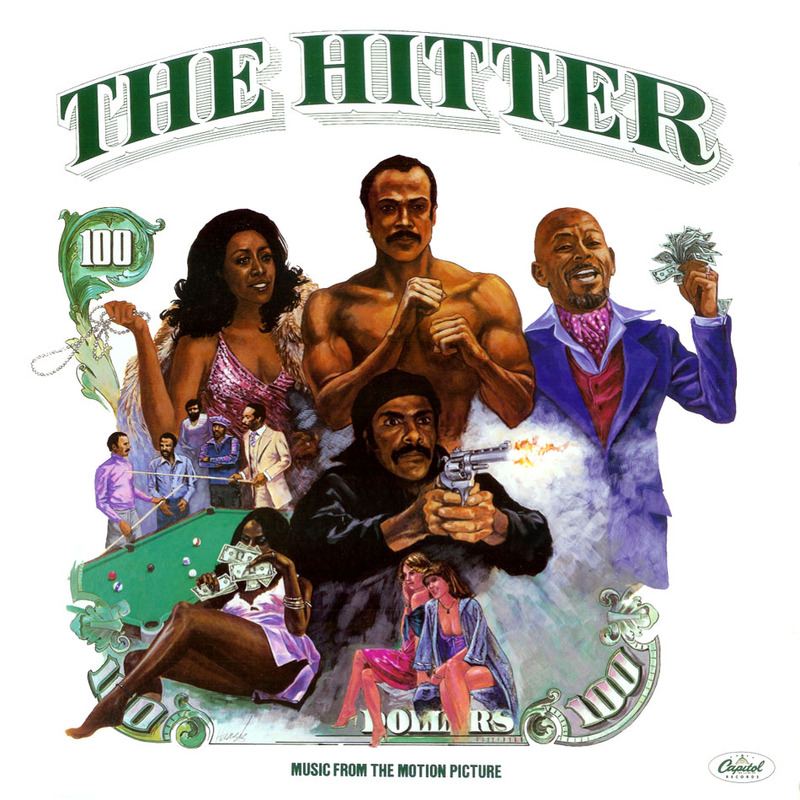 A low-key soundtrack to a film starring Philip Michael Thomas, later of Miami Vice. The album features a country and western motif and much harmonica. Take the time to listen more closely and you'll discover a great smooth funky soul vocal track, "I'm So Glad", and an interesting moog and guitar instrumental.